The Financial Aid Checklist gives a step-by-step guide on how to apply for financial aid after applying to Florida Poly. An FSA ID is a username and password that grants you access to certain U.S. Department of Education (ED) websites. The FSA ID identifies you and provides access to your personal information on ED websites such as the Free Application for Federal Student Aid (FAFSA). Note: If you have more than one child attending college, you may use the same FSA ID to sign all applications. Step 1: Go to https://fsaid.ed.gov/. Step 2: Create a username and password and enter your e-mail address. (Password requirements: 8 characters and include capital letter, lowercase letter, number and special character). Step 3: Create your security questions. Step 4: Verify your unique e-mail address with the six-digit security code number sent to the email address provided. You can use your FSA ID right away to sign your FAFSA. Once the Social Security Administration verifies your information in 1-3 days, you will be able to access additional federal websites using your FSA ID. Records or your untaxed income, such as child support received, interest income, and veterans noneducation benefits, for you, and your parents if you are a dependent student. Information on cash, savings and checking account balances; investments, including stocks and bonds and real estate (not including the home in which you live); business farm assets for you, and your parents if you are a dependent student. Step 2: Complete your application by visiting www.fafsa.ed.gov and click “Start A New FAFSA.” If you filled out a FAFSA last year and want to renew it, click “Login” on the home page and select “FAFSA renewal.” Your previously saved personal information will then populate into the renewal application and you will be allowed to make changes if needed. Note: If you are applying for a Summer session, contact the Office of Financial Aid at financialaid@flpoly.org to find out which school year you should select when completing your FAFSA. Step 3: Enter school code. 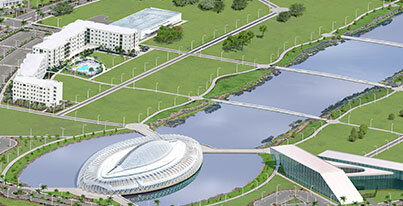 Florida Polytechnic University’s Federal School Code is 042634. Be sure to enter this number when prompted under the “School Selection” tab. Step 4: Provide financial information for yourself and parents if you are a dependent student. Make sure to use the IRS data retrieval tool (IRS DRT) to connect directly to the IRS database and instantly transfer your tax information to the FAFSA. If this step is successfully completed, you will not need to manually add your or your parents’ income to the FAFSA. Using the IRS DRT will ensure accuracy and prevent incorrect loan and grant eligibility. Step 5: Agree to the terms, sign (FSA ID) & submit. Note: Once you have signed the FAFSA and submitted for processing, you will not be able to make any changes until the FAFSA has successfully processed. You will receive an e-mail once the processing on your FAFSA is completed. You must complete a new application each academic year to retain financial aid eligibility. Check with the Financial Aid Department at Florida Polytechnic University for priority deadlines. IMPORTANT: The IRS Data Retrieval Tool is not expected to be available until October 2017. If chosen for verification, we request that all students acquire a copy of their IRS Tax Return Transcripts to complete the verification process. You can request a copy of your tax transcript at: http://www.irs.gov/Individuals/Get-Transcript or by calling the automated line at 1-800-908-9946. Florida Polytechnic University has not received your FAFSA information from the U.S. Department of Education. You do not meet Standards of Academic Progress (SAP). There may be another issue with your application. Please contact financialaid@flpoly.org. Once you have registered for classes and have reviewed and accepted your Financial Aid Award, you will now need to defer your tuition and fee payment. Please log on to your CAMS account and Accept/Decline Awards. The award amount(s) serve as an estimate and will not be finalized until your file is complete. The estimated award amounts are based on full-time status (12 or more credit hours). When your award amounts are disbursed, it will reflect your actual enrollment after the add/drop period. This means that the award amounts may need to be prorated based on your actual enrollment after the add/drop period. For example, if you register for half time (6 credits), your Pell Grant will be disbursed at half of the estimated amount. Students who are eligible for a financial aid refund will have access to their financial aid funds by direct deposit or Florida Poly’s PurpleCash Card. Students who wish to receive their financial aid refund by direct deposit or sign up for the PurpleCash Card can enroll at www.enroll.moneynetworkedu.com. For more information on the PurpleCash card or to access your Money Network account to manage funds on your PurpleCash Card, go to mycampusfunds.com/flpoly. Students with a PurpleCash Card who have questions about their Money Network account can call 1-800-822-4283 for assistance. If you are selected for verification, you will be notified by the Office of Financial Aid at Florida Polytechnic University. This process is a federal requirement, with the intent to improve the accuracy of the information submitted on the FAFSA. It will require you to submit additional documentation in order to determine your financial aid eligibility. Once the verification process is complete, your financial aid awards may be revised to reflect your correct eligibility. Failure to complete the verification process will stop your financial aid from disbursing and any balance owed for tuition and fees will become your responsibility. *This step must be completed if you have been selected for verification, or your Federal Student Aid will not be processed. *In order for your Federal Direct Subsidized and Unsubsidized loans to disburse, the MPN and Entrance Counseling must be completed, unless completed at a previous institution within the past 12 months.